Chinese stock exchanges open their doors to the world = huge opportunities! Basically there are two exchanges in China where stocks can be traded: Shanghai on the east coast and Shenzhen in the south. Then there's also an exchange in Hong Kong, but though it's in Chinese hands since 1997, there are different rules than China's main land exchanges. There are various types of stocks available. For instance, A-shares are only available to Chinese traders and are traded with the Renminbi currency. Since 2002, these stocks are also available to a very limited number of foreign and institutional investors. Aside from that there are B-shares, intended for foreign investors. These are quoted in US dollars in Shanghai, and in Hong Kong dollars in Shenzhen. Then there are H-shares. These are the listed Chinese companies in Hong Kong. For the enthusiasts among us: N-shares are Chinese stocks listed in New York and L-shares are the ones in London. Anyway, since November 17, China has opened its doors to foreign investors. 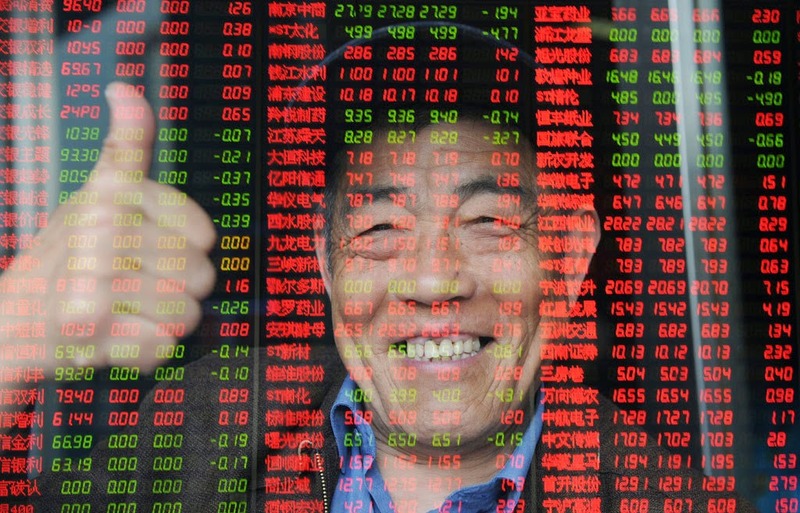 Thanks to the Shanghai-Hong Kong stock exchange connection, the stock market of the Chinese mainland is within reach of non-Chinese for the first time ever! 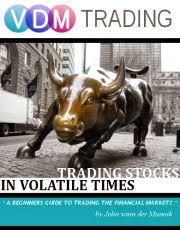 Investors can trade in Shanghai 560's listed stocks, with a maximum trading volume of 2 billion US dollars per day. It's seen as a first step of the liberalization of the Chinese market. According to Goldman Sachs, Chinese equities will soon become a staple. The Shanghai Stock Exchange is attractive because there are many companies listed on the exchange that make their money from domestic consumption. China is in transition from an export-oriented economy to a more consumption-driven economy. Now investors can also start investing in domestic companies that mainly rely on consumption growth! This so-called 'exchange connection' was already announced in April of this year. It has definitely not been without consequence. Since then, the stock market rose by over 18% and the Renminbi by 13%. In fact, the Renminbi rose against the euro even more so than the dollar. A interesting characteristic of the Chinese stock market is that approximately two thirds of the shares cannot be traded freely because it's directly or indirectly related to government property. By the way, the Chinese stock market is strongly influenced by the government, and is therefore not really transparent. For instance, privileged state companies get a relatively easy listing on the exchange. An IPO offers the opportunity to refinance and restructure unhealthy state companies. Furthermore, public balances are not always reliable. That's why the Chinese stock market has a bad reputation and is also referred to as the 'Wild East'. But as mentioned earlier, the Chinese economy is in a traditional phase. From a central governed to a free market one. As part of this transition, the Chinese government loosens the limits on a regular basis in order to ensure the inflow of foreign capital. More and more mutual funds and ETFs pop-up for Chinese stocks, which are soon also tradable in London, Taipei and Singapore. They are intermediate steps to liberate the entire Chinese stock market. Shanghai wants to become the financial hub of Asia. But Shanghai is still about 60% below the value of peak year of 2007. and that's despite the steady economic growth. It's seems like that much, if not all, presumed misery in China (such as an upcoming credit crisis, a bubble in the property market and poorly capitalized banks) is already factored in the equation. The price/earnings ratio of the stock market in Shanghai is only 10. Compare that to those of most Western stock markets. Since the notorious bottom of March 9, 2009, the Chinese stock market rose only 17% in value (including reinvested dividends 30%). That's a drop in the bucket compared to the tripling of the S&P 500 over the same period. The Chinese stock market is cheap and it can say goodbye to a rough time. In addition, the MSCI Emerging Markets Index has recently decided to clear about 5 percent of Chinese ADRs. These are Chinese companies listed in the United States. Keep in mind that MSCI does not want A-shares in its index, but the launch of 'Connect' may change that. The deferred demand for Chinese shares may explode in the coming years which could give this exchange a big push. Chinese stocks are not for the faint of heart, considering that not many Chinese investors have access to fundamental news sources and have to make investment decisions based on the information available to them. Consequently it looks more like gambling than investing. All that seems to be part of the aforementioned transition process. However, this is huge, and a great opportunity. There's certainly some money to be made in China's massive market!